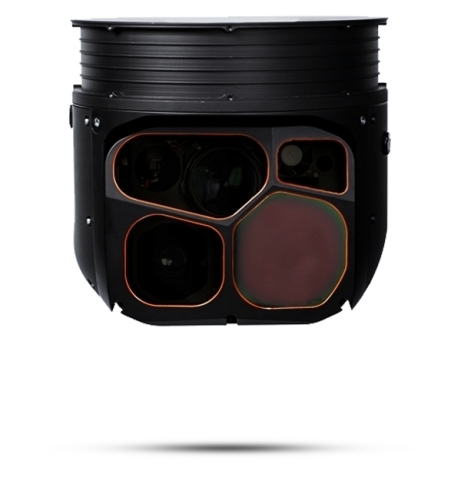 WILSONVILLE, Ore.--(BUSINESS WIRE)--FLIR Systems, Inc. (NASDAQ: FLIR) announced today it has been selected by Boeing to provide the FLIR Star SAFIRE 380-HDc EO/IR surveillance sensor for the United States Air Force (USAF) UH-1N replacement contract. The replacement program will replace the current fleet of USAF UH-1N helicopters, which support the service’s nuclear intercontinental ballistic missile bases in Wyoming, Montana and North Dakota. The aircraft will also be used for training, test and operational support airlift missions. The initial contract award to FLIR is for the first four helicopters, with the total contract up to 84 MH-139 helicopters and valued at more than $40 million to FLIR. Boeing was awarded a $375.5 million firm-fixed-price contract for the non-developmental item integration of the four aircrafts to replace the UH-1N. This was a basic award of a contract (including options) valued at approximately $2.38 billion, which will provide for the acquisition and sustainment of up to 84 MH-139 helicopters, training devices, and associated support equipment. If all options are exercised, the work is expected to be completed by September 2031. FLIR has provided the surveillance component for the current UH-1N helicopters in use by the U.S. Strategic Command since the mid-1990’s. FLIR has been part of EO/IR surveillance system upgrades on these aircraft and recently contracted to upgrade a set of aircrafts to the FLIR Star SAFIRE 380-HDc prior to fielding the new aircraft. The sensors will be manufactured by the FLIR Government and Defense Business Unit in the company’s Wilsonville, Oregon facility. The helicopters, derived from the Leonardo commercial AW139, will be assembled at Leonardo’s Philadelphia plant. Boeing will integrate military components at its facility in Philadelphia. To learn more about the FLIR Star SAFIRE 380-HDc, visit: FLIR.com/airborne.